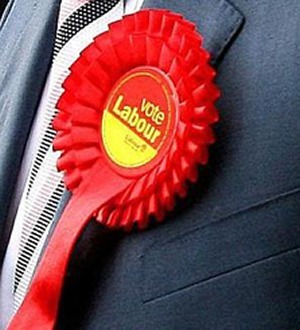 New findings suggest Labour MPs are 73 per cent ‘more local’ than Tories. There is a prevalent malaise among the voting public when it regards its elected representatives. Perceiving as an elitist band of privileged careerists, parachuted into constituencies from affluent nooks, then sped away without a backward glance on the Westminster gravy train, who can blame voters for asking, ‘Does my MP understand me and where I live?’. But new research from think tank Demos reveals the vast majority of MPs are in fact ‘local’ – almost two-thirds of them boasting a significant local link prior to election. Moreover, despite anxieties that its community roots have lately been whittled away, Labour fare notably better as local champions than their Tory opponents. The findings, published in Demos Quarterly, suggest Labour MPs are 73 per cent ‘more local’ than Tories, who parachute in at a less impressive 51 per cent. In the study, MPs were considered local if they fulfilled at least one of three potential criteria: either being born, going to primary or secondary school, or living for five years prior to seeking election in their constituency – or within 20km of it. The most local party was actually the Liberal Democrats, with 82 per cent of MPs representing their local constituency. “Our research shows that the political class is more local than most people think,” said Ralph Scott of Demos, who conducted the research. The project was launched in response to a public call for ‘more local’ MPs – a call both parties appear to have taken on board. While the Tories are comparatively behind, Cameron’s 2010 intake is significantly more local than had been the case under Thatcher. 65 per cent of his newest recruits were local, compared to just 30 per cent of those elected in 1997 and 33 per cent in 1987. Nevertheless, what sets Labour apart is its consistency in maintaining levels of local representation over the same period. The study builds on previous research by the University of Nottingham, which showed that 80 per cent of the electorate want to see more MPs with local roots running for office. While there are growing objections to the predominance of wealthy men on the front and backbenches, the survey suggests voters prioritise the local link above all. Only 50 per cent of those asked said they wanted more female MPs, while 58 per cent wanted more from a working class background. “Voters cannot have their cake and eat it,” Scott said of the findings. “If we want the Commons to do a better job of representing different groups, that might mean fewer ‘local’ candidates, if only because the parties don’t currently offer both. “The findings raise the question of what people mean when they say ‘local’ – the rise of UKIP and other anti-establishment parties shows that people are looking for something beyond the mainstream. If there is indeed a material basis to the sense of disconnect voters feel with their MPs, ‘where you come from’ is perhaps more a question of social class background and values than a past or current foothold in the constituency. Its quite costly seeking a seat, miles from where you live. Rich Tories can afford it; ordinary Labour PPCs can’t, unless they’re SPADs or have Union backing.